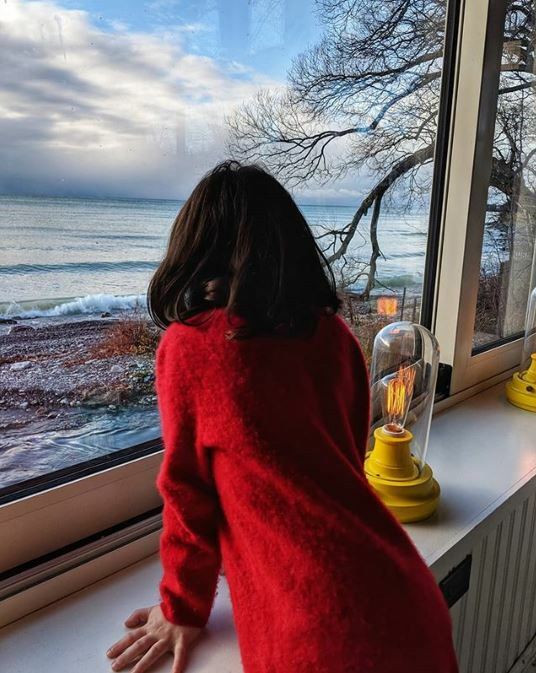 For those who visit and reside in Prince Edward County and wish to engage mind, body or soul, there is much to do in winter! 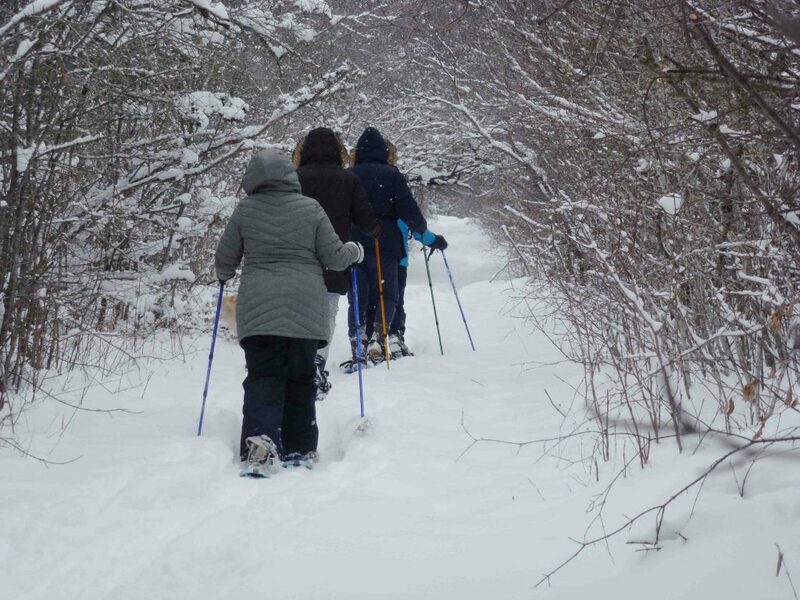 If the snow falls and the temperature drops, it’s an ideal time to step outside for a dose of invigorating exercise, whether snowshoeing, skiing or skating. Or if it’s still green, but the temperatures are frigid, gather with friends for a little vino or cozy up with a fireside meal at a favourite or newly-discovered restaurant. Come check out what’s open as you discover what The County has to offer in the docile months of January and February – you won’t be disappointed! Drop by the historic tasting room at By Chadsey’s Cairns Winery & Vineyard at 17432 Loyalist Parkway in Wellington to discover 100 per cent Prince Edward County wines. Open Thursday to Monday 11-5pm (closed Tuesday and Wednesday) through January and February, come explore this glorious storied farm and discover their exquisite offerings of fine classic wines. Note: winter opening may be weather-dependent. A favourite for anyone looking for a winery close to Picton is Black Prince Winery, open weekends only during the winter months from 10am-5pm. An added bonus, Canadian Vinegar Cellars is located in an adjacent barn on the property and offers a good selection of barrel-aged wine vinegars for tastings as well. 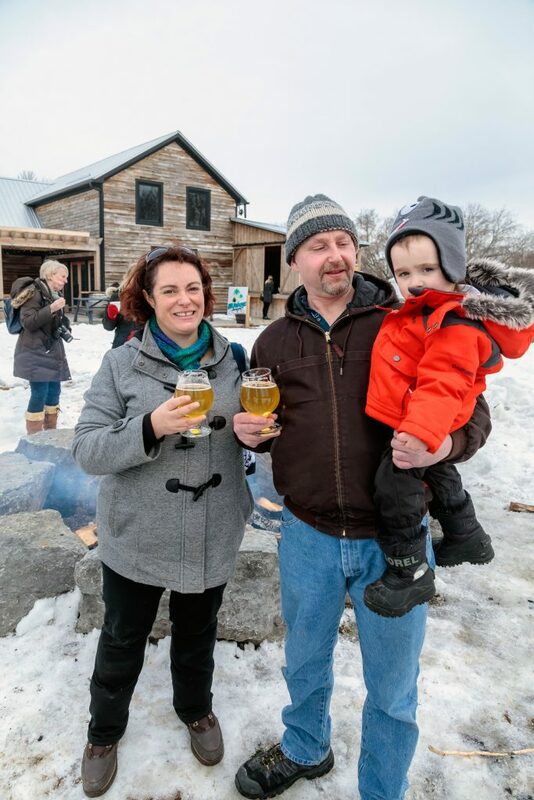 On select weekends in February, cooper Pete Bradford will be toasting barrels on the Heritage Hearth, circa 1786, and there will be wood-fired pizza and baked potatoes available for pairings. Find them at 13370 Loyalist Parkway on the outskirts of Picton. Head west from Wellington and you can’t miss the big signs for Casa-Dea Estates Winery, located just off the Loyalist Parkway at 1186 Greer Road. While the restaurant is closed for the season, the tasting bar is open seven days a week. The purple painted barns at Closson Chase Winery on Closson Road in Hillier are closed in January, but re-open February 3 on weekends only from 11am-5pm. County pioneers in the wine industry, Closson Chase just celebrated 20 years of perfecting world-class wines using centuries-old traditions. The Grange of Prince Edward Estate Vineyards and Winery (or simply The Grange to friends) boasts 100 per cent estate-grown and -made wines. The boutique winery situated at 990 Closson Road in Hillier is open Thursday to Sunday 11pm-5pm. 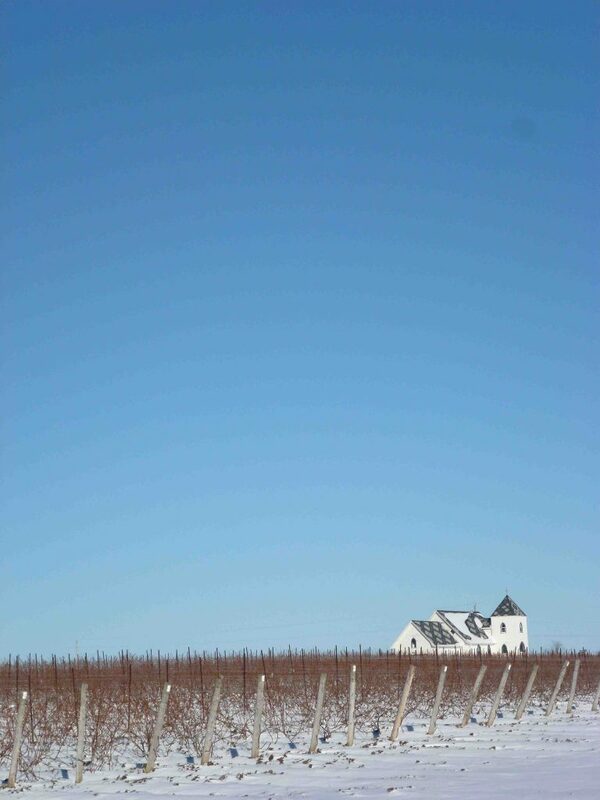 Found on the Loyalist Parkway in Hillier wine country, Harwood Estate Vineyards is known as the solar winery. It’s open daily, year-round from 11am-6pm. 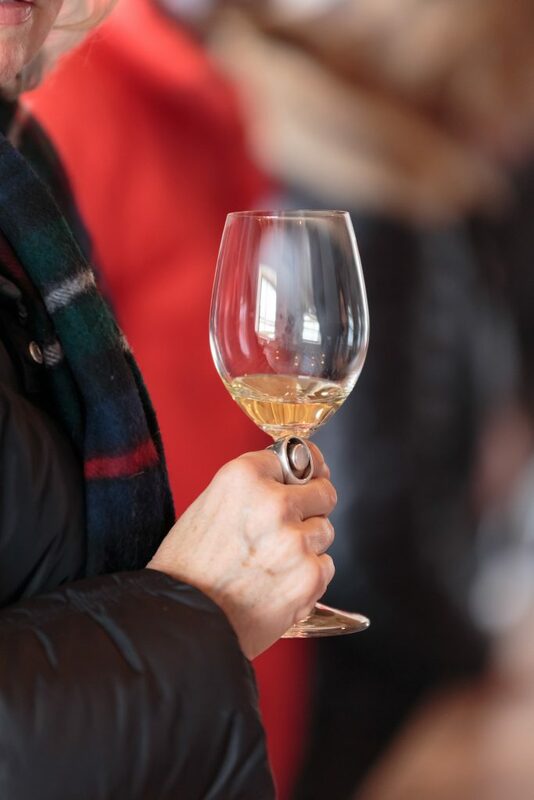 On winter weekends, Hillier Creek Estates & Winery opens its doors for visitors to grab a taste of Gamay, Pinot Noir, Riesling, Chardonnay or Vidal. Hinterland Wine Company on Closson Road in Hillier is open daily 11-6pm in January and offers an exceptional and celebrated sparkling wine experience. Watch for details on this year’s Hinterlude, a family-friendly celebration of food and wine, often featuring some of The County’s best chefs. County Road 1 in Bloomfield is home to Huff Estates Winery. Whether you drive in or fly in, Huff’s is open daily 11am-5pm. And for art enthusiasts, Oeno Gallery situated next door is open daily (except Tuesdays) year-round. Offering a wide selection of contemporary artists, including photographers and sculptors, new works arrive weekly. And don’t forget the Sculpture Garden which never closes. As the first certified vegan winery in the world, Karlo Estates also boasts North America’s largest dry stone bridge. It can be found at 561 Danforth Road, outside Wellington, and is open seven days a week. Keint-He Winery and Vineyards throws open its door Friday to Monday from 11am-4pm in winter. They are located at 49 Hubbs Creek Road outside Wellington. Family-owned and family-run Lacey Estates Winery, located at 804 Closson Road, has award-winning wine available for tasting daily from 11am-5pm. Open by chance or appointment until Family Day weekend in mid-February, Lighthall Vineyards can be found in Milford at 308 Lighthall Road. This small winery also produces delicious (and fast selling!) sheep’s cheese, making for a unique tasting experience. One of the earliest Prince Edward County wineries, Rosehall Run is open seven days a week from 10am-5pm. Found at 1243 Greer Road in Wellington, it’s the home of Pixie, a delicious pink concoction that screams summer. Station Road in Hillier is home to Stanners Vineyard. The sustainable, eco-conscious winery – inside a straw bale building – is open weekends 11am-5pm. 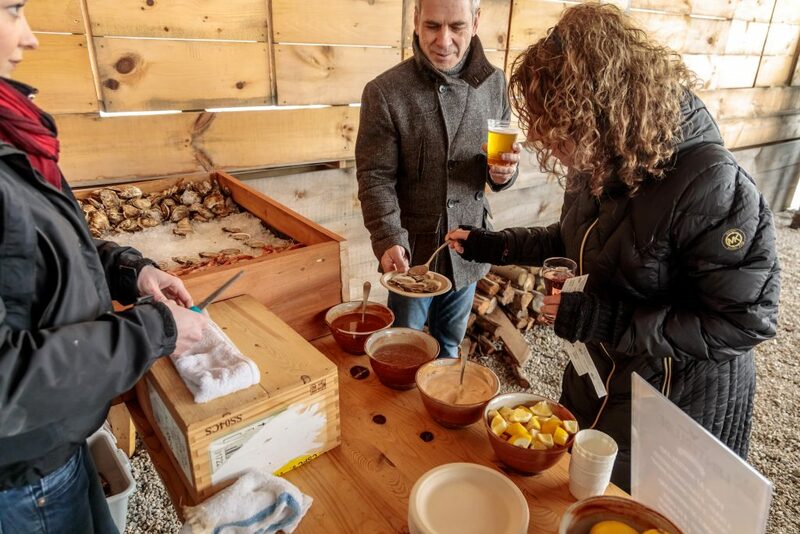 Described as the garagiste winery of Prince Edward County, Sugarbush Vineyards on Wilson Road is open weekends only 10am-5pm, with snowshoes and a track around their vineyard if and when the snow finally arrives! ‘A taste of Italy in The County’ is how Terra Estate Winery describes themselves. Open daily (except Tuesdays) from 11am-7pm, Terra can be found at 896 Lakeside Drive in Consecon. 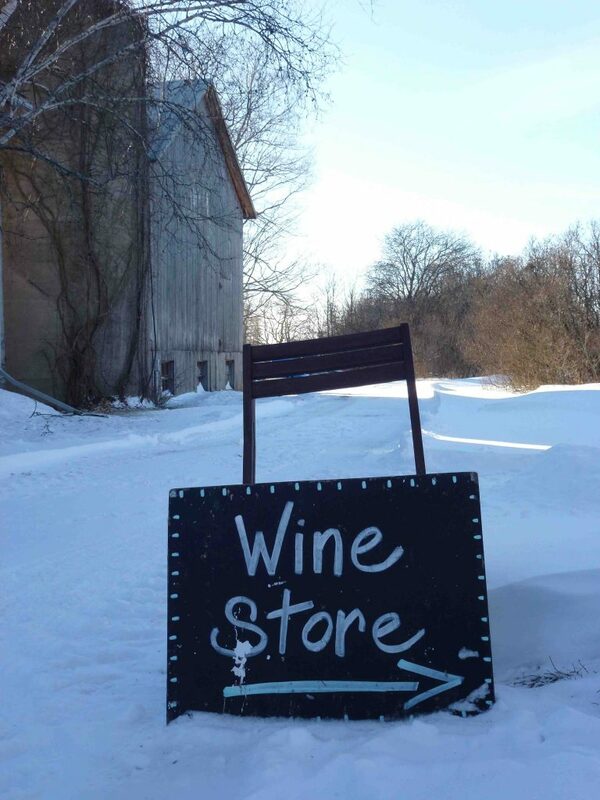 Open Thursday to Sunday from 11am-5pm, Three Dog Winery is located at 1920 Fish Lake Road, Picton. 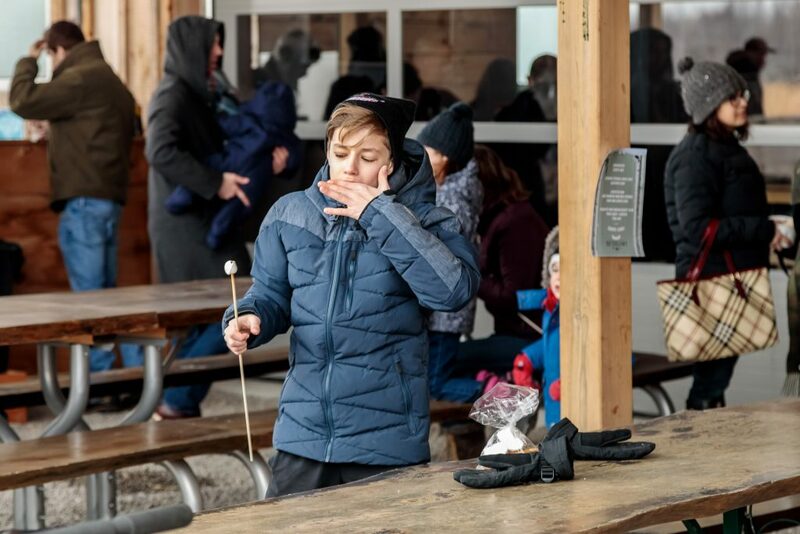 In winter months, the winery stokes up a huge bonfire and offers snowshoes and a huge track to hike through their pristine vines. Reward yourself with a rosé! Trail Estate Winery at 416 Benway Road in Hillier is closed through January, but open Thursday to Saturday 11am-5pm in February. 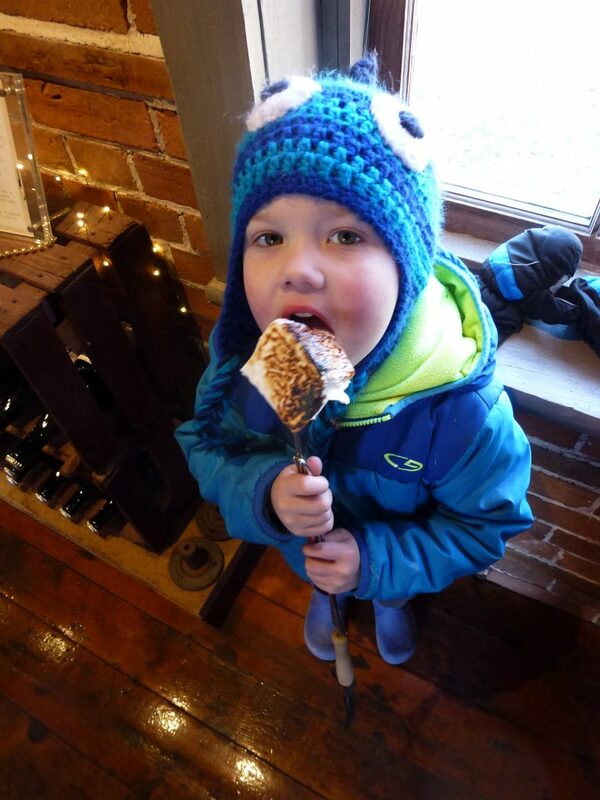 The restaurant is closed for the season, but the tasting room at the Waupoos Estates Winery’s winter hours are Thursday to Monday 11am-4pm. Located in picturesque Waupoos on the shores of Lake Ontario, it is well worth the country drive. The Acoustic Grill is the place to be for food, music and harmony. Known for the best live acoustic music in town, where the burgers rock and atmosphere is intimate, you’ll find an expansive selection of draught beers, local wines and cider at 172 Main Street, Picton. Agrarian Bistro & Speakeasy in downtown Bloomfield offers rustic-style dishes from their winter menu. Open seven days a week in winter with live music on Friday and Saturday nights, enjoy the rustic warm ambience of the dining room with lunch, dinner or Sunday brunch, or simply settle into the funky bar with a selection of craft brews on tap. Bloomfield’s newest establishment, Bloomfield Public House, is open Tuesday to Saturday for all-day dining or simply coffee. Sunday is brunch day and they are closed Mondays. Check them out at 257 Main Street, Bloomfield. Wellington’s Drake Devonshire is open year-round for dining or drinks. The ever-changing unique winter lake view will entertain along with menus made for the seasons. Enjoy breakfast, brunch or bites. Or stop in for lunch, dinner, dessert and, of course, libations. Wellington’s East & Main Bistro at 270 Main Street is closed in January, but re-opens on February 7 for lunch and dinner. Next door, Pomodoro’s hearty and warming Italian-inspired menu is available Friday, Saturday, Monday and Tuesday when it reopens January 28. At one of Bloomfield’s newest attractions, Flame + Smith, located at 106 Main Street, the flame burns nightly. A sustainably-minded restaurant, Flame + Smith embrace the exciting art of wood-fired cooking where you can enjoy the Prince Edward platter, wood-fired cauliflower or the liver mousse and crackling. Open daily (except Tuesdays) for lunch and dinner. Hartleys Tavern on 19 Elizabeth Street in downtown Picton offers a relaxed and casual atmosphere and an eclectic, often adventurous menu. Open Tuesday-Saturday, 5pm-midnight, with a short closure while the owners are on vacation from January 26 to February 13. The Restaurant on the Knoll at Isaiah Tubbs Resort on County Road 12 is open for lunch and dinner, Fridays and Saturdays only through January. Portabella is a downtown Picton favourite found at 265 Main Street. Drop in for lunch, dinner and drinks daily (closed Sunday and Monday). A new option in Picton is Stella’s Eatery, where the menu “honours the legacy of grandmothers, mothers and daughters gathering around a fire, or a table” and is ever-changing, subject to the availability of local, fresh, foraged or seasonal ingredients. Open Thursday-Monday, 5 p.m. to close. In Picton, the Bean Counter serves up soup, salads, sandwiches and quiche. In Bloomfield, the Saylor House Cafe is a stalwart for soups, sandwiches and light lunch. In Wellington, Good Place PEC promises a hearty but healthy lunch, if you’re mindful of New Year’s resolutions. Try the egg (or no-egg) breakfast sammie. It’s delish! The Waring House Restaurant offers food and live music Wednesday to Sunday. Find them at 395 Sandy Hook Road (right beside the roundabout). Apple Falls Cider is part of Campbell’s Orchards, a popular destination for families looking for an outdoor playground, a giant chair, wooly sheep and a few simple paths winding through the orchard. 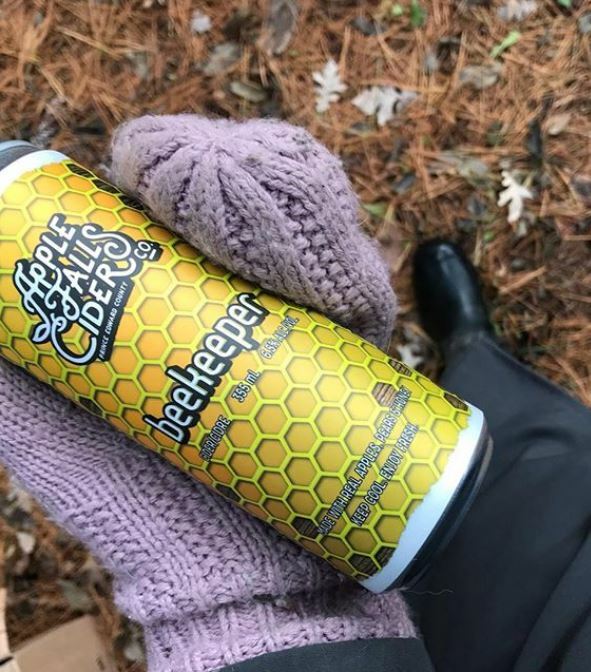 Matt and Amelia’s heritage cider has a nice bite, while their beekeeper has good… buzz. Uncomplicated is how 555 Brewing Co. describe themselves. Conveniently located in downtown Picton at 124 Main Street, this microbrewery is open seven days a week ‘til late for a favourite brew and wood-fired pizza, and sports fans (especially beleagured Leafs fans!) can enjoy the big screen. The oldest craft brewery in Prince Edward County, Barley Days Brewery can be found on the outskirts of Picton on Loyalist Parkway. Pick up your favourite brew, including Scrimshaw Oyster Stout. Open Wednesday to Sunday 11am-5pm through winter. The County Canteen at 279 Main Street West in Picton offers a celebration of the bounty of The County. 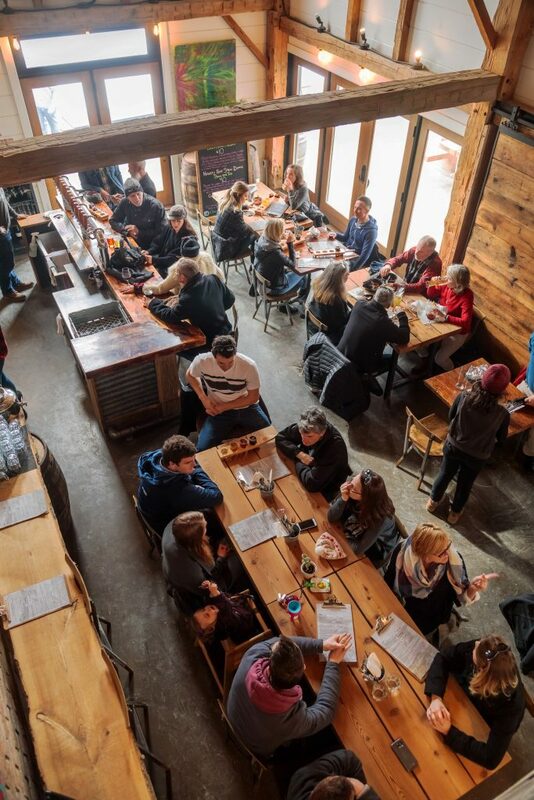 Known as Picton’s first brew pub, they offer 24 craft beers on tap, lots of musical entertainment, karaoke and trivia nights, and, of course, great food. Open ‘til late, seven days a week. The County’s only distillery, Kinsip House of Fine Spirits, is a great place for a warming beverage on a cold winter’s day. Sip on spirits in the old hops barn! It’s located at 66 Gilead Road, Bloomfield and is open Thursday to Monday 10am-5pm. Midtown Brewing Company, Wellington’s local spot, located at 266 Main Street, is open seven days a week. They’ve got a cozy stove and a children’s corner if you need a respite from the weather! Best of all, the kitchen stays open until 9pm daily – there’s even a darts league on Wednesdays. Parsons Brewing Company says every beer tells a story. Located at 876 County Rd 49, Picton, Parsons boast 18 beers on tap. The brewery is open year-round, and the kitchen re-opens February 1. 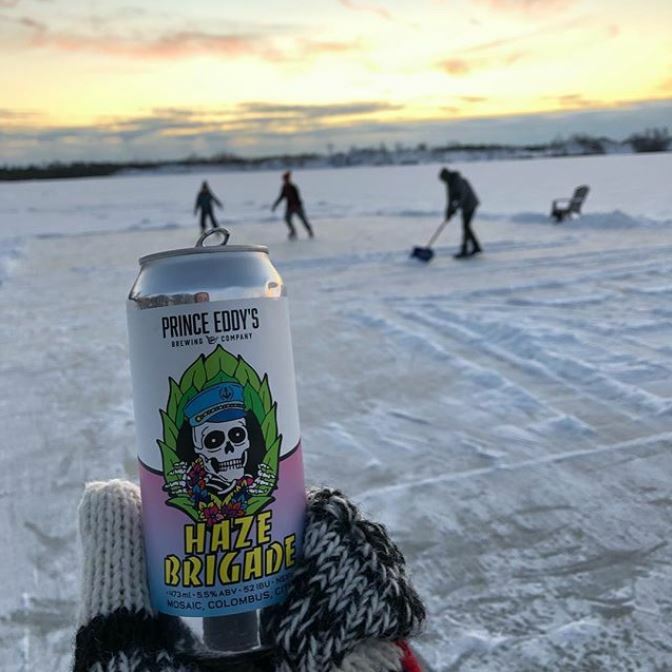 Prince Eddy’s Brewing Company on MacSteven Drive in Picton’s Industrial Park is open Thursday-Sunday. Saturday nights come with live music and pop-up food options. Drop in at their popular Saturday night curling league or wake up early for Sunday morning yoga. Follow them on Facebook for dates.